If there's anything I enjoy more than nicely done modular buildings, it's a micro build of said modular buildings. 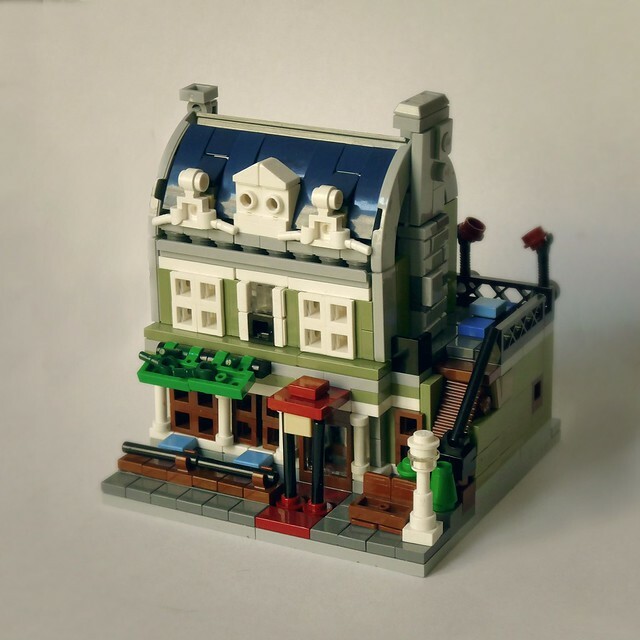 The Parisian Restaurant is one of my favorites, and this miniature version of it by builder Simon NH is instantly recognizable. And just like it's full size counterpart, it's brimming with charm. There's so many clever techniques and part uses here I don't know where to start, so just gawk at it like I've been doing.